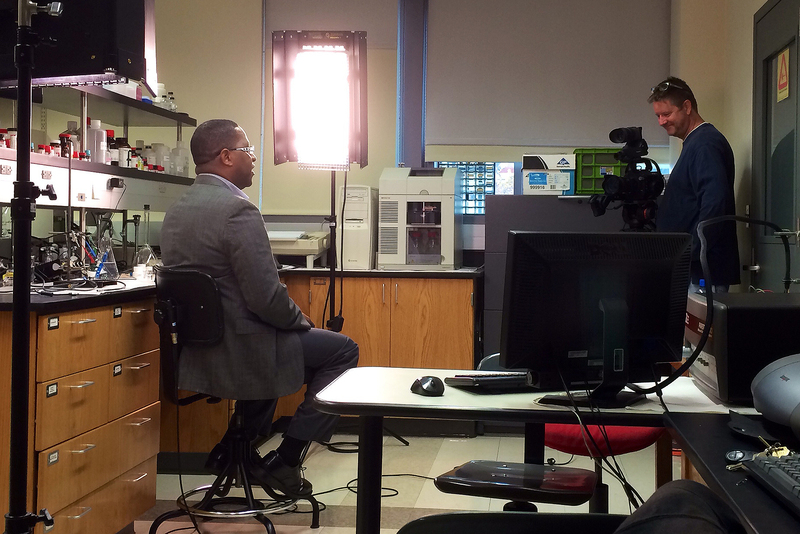 Had you walked into Dr. Ken Brown’s lab early yesterday morning, you would have been witness to this scene: Dr. Brown on camera, enthusiastically sharing his experience as an A. Paul Schaap Research Fellow. 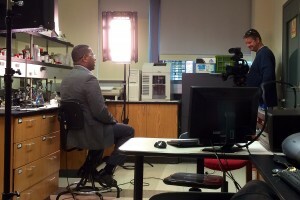 It is always great to hear our faculty express such passion for their work (whether they’re on camera or not!). Every day, that work includes scholarly engagement and one-on-one collaborative research with students. As critical as they are to scholarship, sophisticated lab instruments do not singularly define Hope College as a community of scholars. And, well-equipped academic facilities alone have not made Hope a recognized leader in undergraduate research. At the heart of our students’ academic experience are the people — including dedicated professors like Dr. Brown.